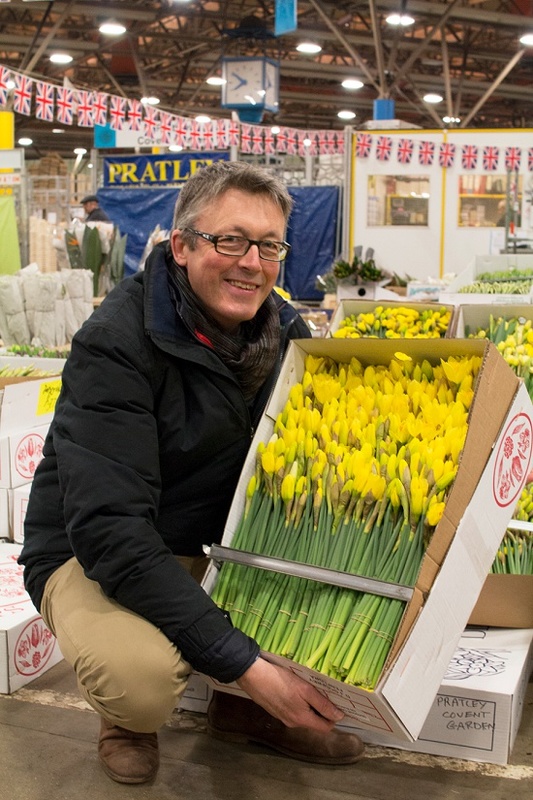 Florists up and down the country have been getting into the spirit of raising money for Maire Curie by selling bunches of daffodils, creating their own spectacular bouquets and hosting special events, all for a very worth cause. We wanted to share with you some of the fantastic work people have been doing and thank everyone who supported this campaign. 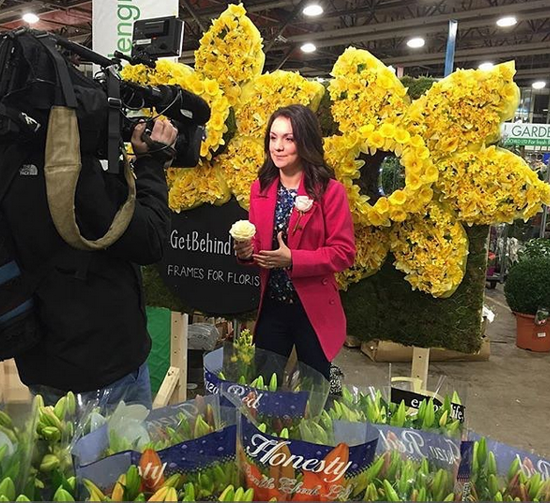 To help raise the profile of the #GreatFRESHDaffodilAppeal campaign and the work Marie Curie do, Cassandra of Stems UK, one of the Flower Market's resident florists, created this fantastic design – A huge daffodil with peephole face. It attracted a huge amount of attention in the Market, raising the profile of the campaign and even got featured live on ITV. 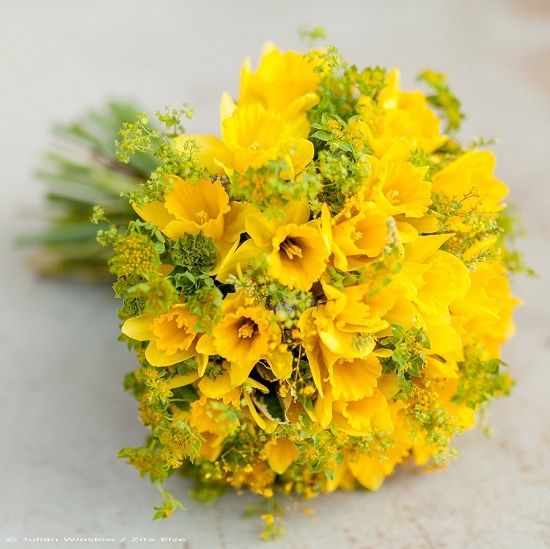 The amazing Zita Elze created this beautiful bouquet, specially designed for the appeal, featuring British daffodils from Zest plus alchemilla and bupleurum. 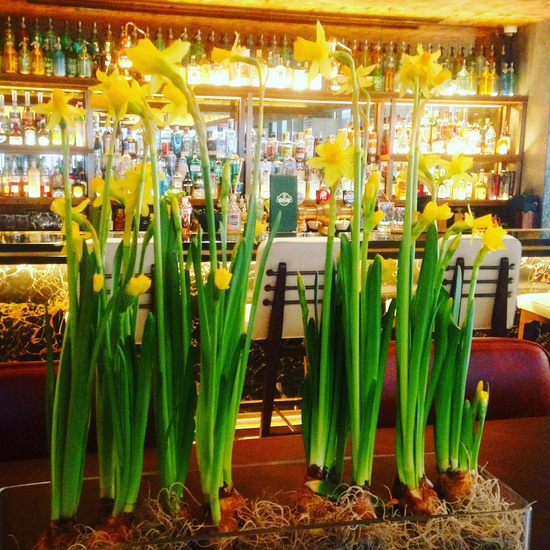 All For Love London used beautiful tête à tête daffs from the bulb at the Hilton Bankside hotel this March. 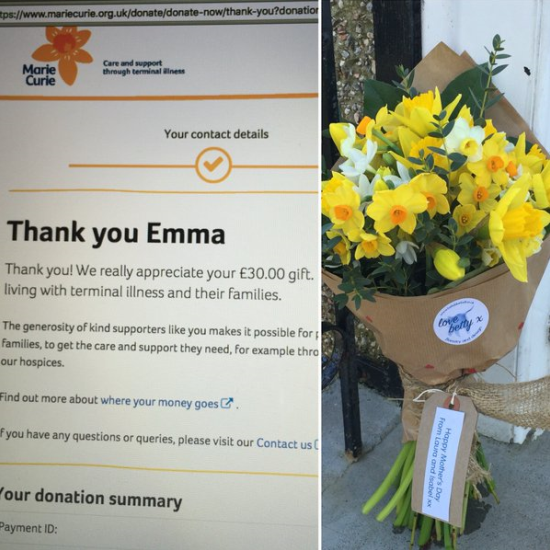 Emma Brady of By Betty Blue Bell raised £30 by selling these beautiful bouquets of assorted daffodil and narcissi varieties. 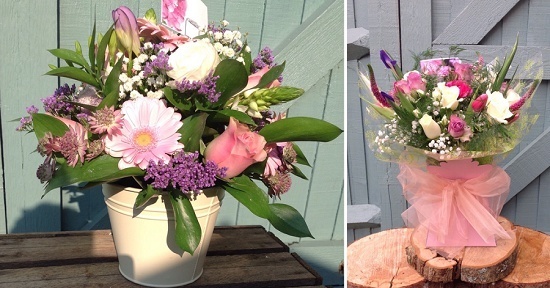 Renowned florist, Paula Pryke, held a special workshop to raise the profile of the charity. She also named them as her charity of the month. Independent florist, Claire Wallace of Miss Mollie's Flowers, donated a percentage of all profits in March to Marie Curie, including from sales of weddings and Mother's Day flowers. She raised over £100. 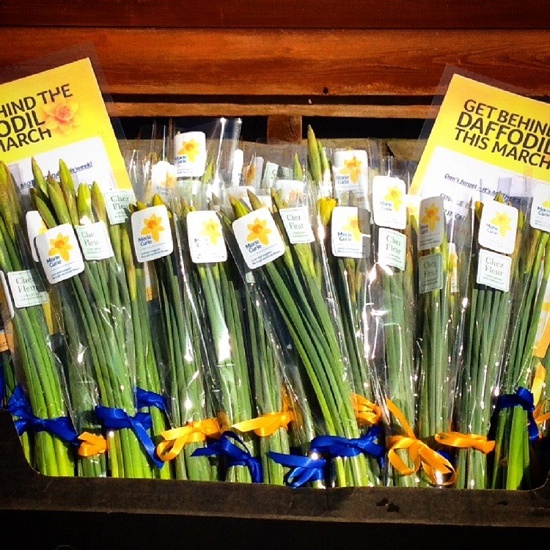 Two years ago Belinda of Chez Fleur was keen to fundraise for Marie Curie, so she made up a few simple bunches of daffodils in cellophane and ribbon then sold them at her children's school. This year Belinda wanted to go even bigger and so she approached us to help galvanise the floral industry. And we said "OF COURSE!" This year Belinda held three sales - at a local school, village store and monthly village market - selling wrapped narcissi and daffodils which raised £228 for Marie Curie. The flowers lasted for several weeks and she even had some left to decorate the chapel for Easter too. We would like to say a huge thank you to everyone who supported the campaign and particularly to the florists above for getting involved so generously. We'd also like to say a special thank to florist Shane Connolly, Rona Wheeldon of Flowerona, Caroline Marshall-Foster at the Florist Magazine and Gill Hodgson of Flowers from the Farm, all of whom helped use their industry influence to get the campaign off the ground.